Professionally, Cornishman Chris Payne is hailed as an orchestral composer for film and television, with a truly unique diversity that can be woven into many different styles. 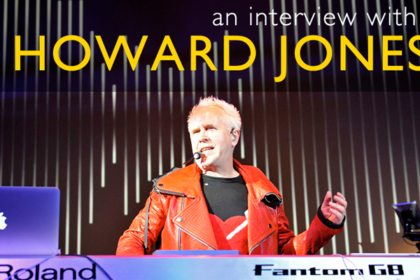 However, many will cite him as a virtuoso of the synthpop genre, thanks to the years he put in as a session musician with Gary Numan, securing credits for both 1979’s The Pleasure Principle and 1980’s Telekon as well as intermittent contributions to his other albums. To that end, it’s no big surprise that Chris is also set to release an eBook entitled My Numan Years very shortly. During these years, Chris would co-write what was one of the soundtracks of an era, Visage’s seminal hit, ‘Fade To Grey’, sharing writing credits with both Midge Ure and Billy Currie of Ultravox. Classically trained, Chris has composed, scored and recorded his works, going on to conduct the LSO and Prague Philharmonic Orchestras and thus demonstrating true versatility; from the birth of the music itself, through to his skill as a sympathetic musical director – an opportunity to get even closer to the monumentality of his compositions, no doubt requiring both focus, and, an unprecedented amount of energy. Focussing on his unadulterated musical excellence and experimentation, not only does he use of a wide variety of medieval instrumentation within his most current compositions with Celtic Legend, but also his recent violin contribution to Tenek’s ‘What Do You Want?’ provides a precision snapshot that highlights the diverse, the inquisitive and the engaging. 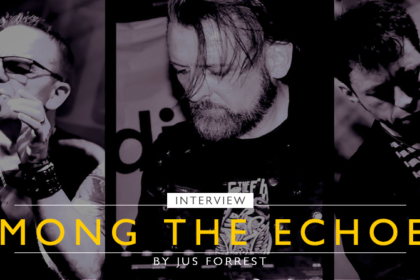 Currently residing in Rouen, France, Chris took time out recently to talk to The Electricity Club about his time touring with Gary Numan, and writing for Visage ­ past and present. As a classically trained musician, is there any particular player you cite as an influence within the classical arena? Not really. I can cite more progressive rock and folk bands from the 70s as having an influence. I loved Jethro Tull, King Crimson, Fairport Convention, Grython, Van De Graaf Generator, Gong etc but also a violinist called Darryl Way from Curved Air who played the most amazing violin solo live, with all sorts of great effects mixed with classical styles. I was surrounded by all sorts of classical music from a young age, as my father was playing a lot of records from Bach’s Brandenburg to Holst’s Planets etc. 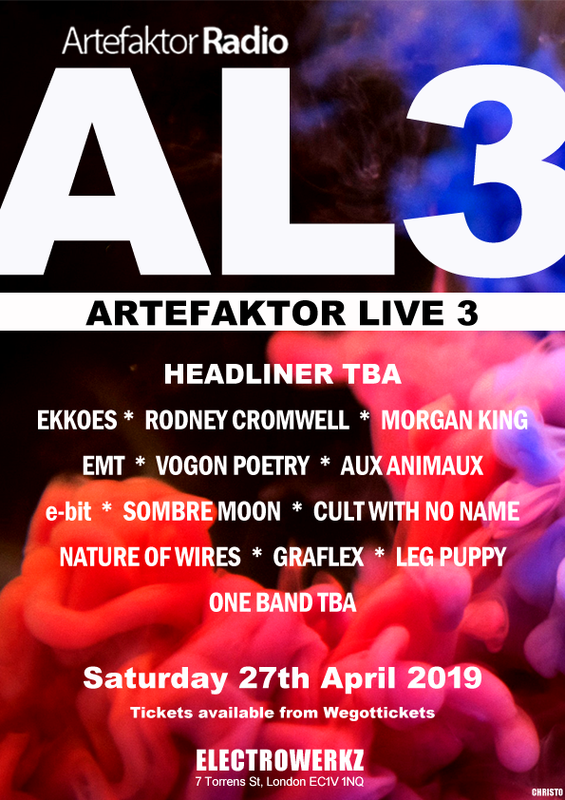 I also loved early music and I guess my closest likes to electronic music at the time were with German bands like Tangerine Dream and Amon Düül II. Was the viola your first instrument? It was the first instrument that I had lessons on. I messed around with drums and bass for a while before this, but with not too much success to say the least! Having said that, I do play a bit of bass now and have somehow managed to work out the open strings! You started quite late in music (around age 15? ), yet you’ve successfully got into orchestral composition for film and television. You must have worked hard to reach a level of technical development that you were happy with? What kept you focused? This all came about later around 1985. It’s true that having had a good classical training at Chichester College of Music, it made getting into film/media music easier, but also luck and contacts played a part. A good friend of mine called Nigel Bates actually introduced me to the world of production music around this time. Can you remember much about your audition for Gary Numan’s band? Is it true you hadn’t ever played a synthesizer before that? Oh yeah. I remember as if it was yesterday. I had finished music college and was taking some time out working for our local council taking down trees. I turned up in my ‘chain saw’ gear i.e. workman’s jacket, large boots and sporting a very bad moustache with hair like King Charles II. All that was missing was the chain saw! I had never played a synth before. Bluffed my way through the audition pushing every note under the sun and making it look as if I had a clue. The real bonus for me was playing the viola and Gary, being a big fan of stringed instruments, loved the sound. 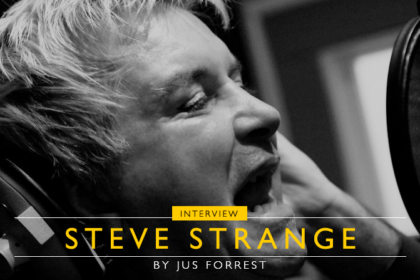 For you, how did it all start with regard to your first break and getting onto a major tour? How did that feel at the time? Was it hard work, enjoyable, challenging? Probably all those things Im sure, but do you have a personal perspective you can share with us? 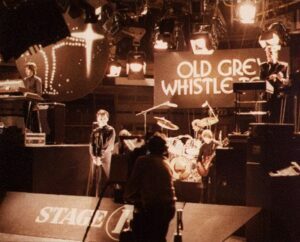 After the audition I remember events moving very swiftly, and before I knew it we were in Shepperton rehearsing for The Old Grey Whistle Test, a live BBC TV music show that used to broadcast every Tuesday night. Later that evening we were told that a spot had come up for us on Top Of The Pops, which at the time was the ‘God’ show for music as MTV etc didn’t exist. Four weeks later ‘Are ‘Friends’ Electric?’ was at No.1. Was it hard work? No, not at all. I loved every minute of it. From September 1979 we were just continually touring and recording, were all young at the time, and had plenty of energy and enthusiasm. I won’t mention names but I remember hearing on Radio 1, a well-known band being asked about life on tour and they complained about how tough it was, and how people didn’t realise what they had to go through. I just thought… OK!!!! You don’t realise how lucky you are to be in your position, after all what’s better, a world tour when you’re 23 years old or working in a factory making car batteries (a job I did as a student)? Did you have any inkling that something was about to happen when you were on Old Grey Whistle Test and Top Of The Pops doing ‘Are ‘Friends’ Electric?’ in the same week? It was a frantic few days and as it was happening, I think we all sensed that something was about to happen. Not only did it happen but at such a pace! I didn’t realise at the time but Numan’s label Beggars Banquet were on the brink of bankruptcy and Gary’s success not only made his own career take off but also saved the label. Imagine if Beggars had gone under. They’ve a lot to thank him for. You appeared on a number of Gary Numan albums including The Pleasure Principle and Telekon, usually playing viola but would be called on to play keyboards occasionally. What kind of parts would you normally be asked to do as it would appear Gary handled many of the synth parts himself in the studio? Actually Gary was extremely generous letting me play a lot of parts on The Pleasure Principle. We shared the workload, although he had created all of the parts. It was interesting as the main synths were a Minimoog and Polymoog. No guitars just drums, bass, synths and viola of course! My only issue was trying to stay awake, as these were all night recording sessions after the pubs had shut. You’re correct, by the time Telekon came along Gary played most of the keyboard parts. What are your overriding memories of the first two Gary Numan tours? Well they were both phenomenal, and bear in mind nothing had ever been seen like it before with these great futuristic sets and lighting effects etc. Far too many great memories of these days, you’ll have to come and see me and I’ll spend a few hours chatting about it… we did two world tours with both of these sets and my regret is we didn’t tour abroad with Warriors, which also looked amazing. Which Gary Numan songs were your favourites, either because of your contributions or from playing them live? It’s no secret that my favourite track was ‘Down In The Park’. It was truly spine-tingling to play with its anthemic power, and I loved playing the piano intro to it before launching into the thunderous Polymoog chords. 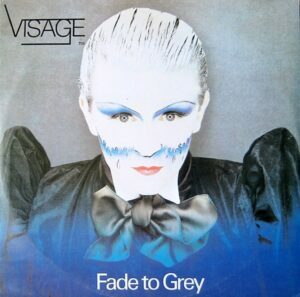 I have to ask you about your role as co-writer of Visage’s hit single ‘Fade To Grey’. I believe it came out of some jamming that took place while on tour with Gary Numan? What urged both you and Billy Currie to put down a recording of the work? This became such a signature track. What do you think was the key to its huge success? The key to its success… A Minor!!! Ha ha! But seriously! It was part of a movement which, image wise, was very strong. This will always help the promotion of a song. Technically it was very simple, relying on a cyclic movement from A minor to D minor and using the A minor as a pivot chord to re-introduce the verse. Plus it had a very strong but simple chorus… “Ohh-OOH we fade to grey”! It also had a certain atmosphere, which was relevant to the times. How important do you think, were synthesizers in the shaping of music late ’70s to mid ’80s, and why was there such a huge success rate with synthesizer based bands during this period? It was important and it enabled non-trained musicians to be able to express themselves. The beauty of a synth is that you can use your imagination to create all manner of soundscapes, atmospheres – call it whatever, without the need to be a great player. Some people remarked on how ‘soul-less’ the synths were compared to real instruments. If you ever heard Billy Currie playing his solo ARP Odyssey, you’ll realise how wrong that is. He was a phenomenally expressive player who could make the instrument scream and growl, and also sound very emotive. I’ve since spoken to many players of early synths and it’s interesting that we each in turn have a different favourite. Mine was the Minimoog. A classic little demonic monosynth that could play the most intrinsically beautiful sounds, and also shake a building down to its foundations that you were playing in. Is there an artist from that era whom you felt was particularly innovative in embracing the synthesizer technology? Obviously Kraftwerk plus the other German bands mentioned before, Jean-Michel Jarre and Yellow Magic Orchestra. 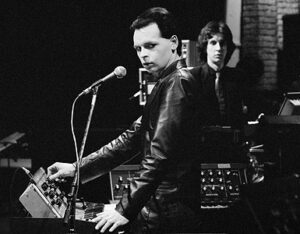 As mentioned, Mr Currie, and let’s not forget Gary Numan who had probably the most influence on the commercialisation of synths. You toured the skies but it all suddenly ended with Gary Numan’s three farewell shows at Wembley Arena in April 1981. What were your own emotions and thoughts during those gigs? Because of the immense scale of that production with the three back-to-back concerts and sell out crowds, half of me thought that this was crazy stopping at that moment with such huge interest and the fact that nothing had been seen like this before and if it could grow bigger. Who knows what would have happened? It was also sad and a bit disconcerting as I had been in regular employment for the last three years. On the other hand, Gary had made this decision and it was a case of moving forward with Dramatis and looking forward to a new adventure. 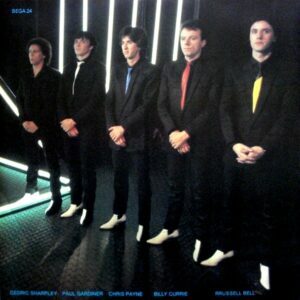 You formed Dramatis with RRussell Bell, Ced Sharpley and Denis Haines from the Gary Numan band and released the album For Future Reference on Elton John’s Rocket Records in late 1981. Simon Heyworth (who worked on Tubular Bells) was the co-producer. How do you look back on the recording of that? Oh God, it was a mess! I never understood why we spent ages recording it in one of the best studios in England at the time, a studio called Ridge Farm, only to remix it in London, which was bloody awful. All this messing around when we had perfectly good mixes drove me to despair. It took forever, cost a fortune, we had to re-do the cover of the album and when it was finally released, Denis left the band! Having said that, the time spent at Ridge Farm was brilliant. It was a really inspirational environment and had a great pub in the village just up the road. Needless to say where we were most evenings. RRussell and Denis were the main vocalists for Dramatis. But Gary Numan sang on the terrific ‘Love Needs No Disguise’ and you even did a lead vocal on ‘Turn’. Was there initially a reluctance for someone to take up the mantle of fronting Dramatis, especially as you were all more used to the role of being seasoned multi-instrumentalists? Interestingly, I remember that Adam Ant’s ex-wife Eve, who I was sharing a flat with at the time, suggested we tried out a hairdresser friend of hers who was looking to sing in a band. His name: Boy George! Imagine if he had joined Dramatis? In hindsight, why do you think Gary Numan’s fanbase didn’t appear to take to Dramatis in large numbers? I don’t know. Perhaps we didn’t have a strong enough identity? The music was too removed from the Numan style? Badly promoted? It could be a combination of all of these or other factors. It might even have been my dodgy haircut! 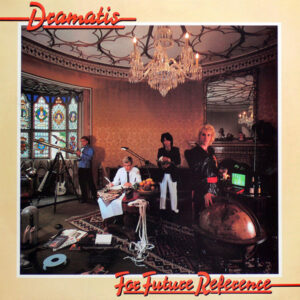 After For Future Reference, Dramatis did some cracking singles like ‘Face On The Wall’ and ‘The Shame’. ‘I Can See Her Now’ even got into the lower reaches of the chart and you toured in your own right. Was a second album ever close to completion? We were working on quite a few songs for a second album. But I think we just lost our way and enthusiasm for the project with all the problems that beset us. Maybe we’ll release them someday? You rejoined Gary Numan’s band for 1983’s Warriors tour and remained until 1988. But in between, you also did a stint touring with Dead Or Alive after they secured a No.1 with ‘You Spin Me Round’. Do you have any amusing recollections of that Dead Or Alive tour? What was it like working with Pete Burns? I actually stayed officially until 1990. As for Dead Or Alive, that was a fun tour. Three weeks or so and I wish it could have gone on. It was a summer tour as well, which made it feel even more like a holiday. As for anecdotes, there are loads too many to mention here. You’ll have to buy a copy of my eBook My Numan Years due for release soon. Pete was great, and actually very shy. He kept a low profile and after the shows went back to his room with his wife Lynn. The drummer Steve Coy was also really nice and a serious nutcase. Tim Lever (keyboards) and Mike Percy (Bass) were also great. In spite of the image, I found them to be just a typical down-to-earth bunch of scousers! You returned to play viola with Gary Numan on ‘Complex’ at a few of The Pleasure Principle 30th Anniversary shows in 2009 to a rapturous reception. What was it like to be back on stage with him? It was fantastic. The only downside was that I’d loved to have done the tour. I hadn’t realised how much I’d missed live work. I’ll have to get Dramatis back together! 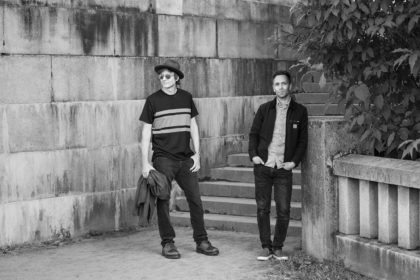 You’ve been working with Tenek on a track called ‘What Do You Want?’ for their new EP2. 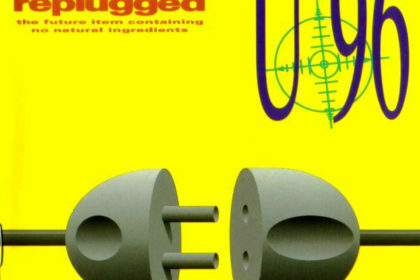 How did that come about and what was it like working with Pete Steer and Geoff Pinckney? I met them at the aftershow party at the O2. Pete contacted me somehow and it went from there. 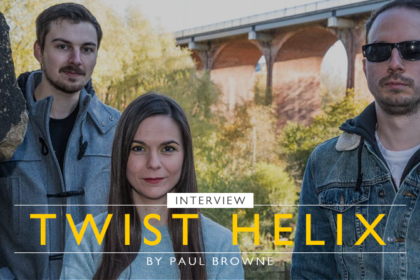 I didn’t know anything about them but they are very impressive and seem to be building up quite a following, which doesn’t surprise me as they’re excellent. I believe Visage are working on a new album and that Rusty Egan, fairly recently, invited you to write a song for the album? Did that actually happen? If so, how would you describe your contribution and how did you approach it? Rusty tracked me down on Facebook. At first I thought it was a joke and that some one was scamming me for a laugh. But after some careful further investigation, I knew it was for real. The latest I heard was that two of my contributions including a co-written track with producer Nigel Bates were shortlisted along with contributions from Midge Ure, Youth etc. But you just never know if they’ll eventually make the final cut. What are your thoughts with regards to Visage putting out a new record? I think it’s a great idea. Especially if they use my compositions!!! How did your interest in medieval and traditional instrumentation develop? This is quite prominent in your latest work with Celtic Legend isn’t it? I’ve always had a passion for early music instruments and played them long before joining Gary. I spent a few months with a consort called Musica Antiqua and also used them in a band called Crucible (which included film composer Hans Zimmer for a while). They do appear in Celtic Legend although the style is more Uillean pipes and flageolet or tin whistle. 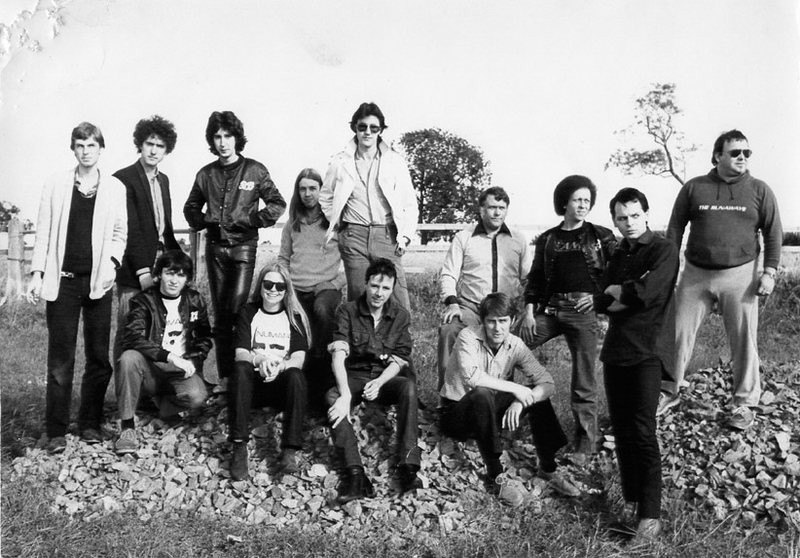 The strange thing about this love of folk and early music is that I’ve found that it’s so divorced from what I did with Gary Numan, it confuses a lot of people. 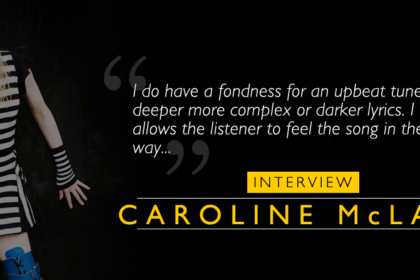 You have conducted your own orchestral works ­ can you tell us how this opportunity came about? How passionate are you about the interpretation of your own scores? I have made a lot of big orchestral recordings in London and Prague over the years and this is really where my passion lies. I have never experienced a bigger recording thrill than hearing a hundred piece plus symphony orchestra perform stuff that I’ve written. As for interpretation of my scores, I’m quite flexible about this, you have to be. I remember once recording one of my first sessions and myself and a friend called Paul Rogers, who orchestrated this particular piece, looked at each other in total amazement because the percussionist (who was Italian, new to the Orchestra and couldn’t understand English) was playing something seriously ‘off score’. Not one note resembled anything that we had orchestrated. He was on his own mission and wasn’t going to have it any other way. Eventually we just left him to get on with it. It actually worked ok so I’m not that bothered. You once wrote some intro tour music for heavy metal giants Iron Maiden. How did this opportunity present itself? Did you have a particular vision in mind or were you given a brief? Incidentally, can you remember which tour this was? It was a track called ‘Declamation’ published by Universal Music, which I’d recorded at CTS studios Wembley in 1987. Iron Maiden used it as an intro to their Death On The Road tour in 2003/4. They somehow heard it and thought that it was an out of copyright piece by a dead composer. Unfortunately for them, the composer (me) was still very much alive and wanted some royalties please. Anyway the issue was resolved and I got paid. It’s a shame I didn’t know about it as I’d like to have seen it. I’m a bit of a rock fan at heart and do like Iron Maiden! Technology moves fairly quickly. How keen are you to embrace new technologies? Have you used soft synths? Love the new software synths. No more overheating oscillators going out of tune, and there are some fantastic synths out there. I love Spectrasonics Atmosphere, and Ivory Piano is just sensational. During your career, you have explored many genres. However, is there a particular song/work that you have been exceptionally moved by? At different moments in my life, there have been songs or compositions that have really impacted on me for whatever reason or situation. The standout ones are Vaughn Williams’ ‘Lark Ascending’ and Elgar’s Cello Concerto in E minor. I think the power in these two pieces lie in the fact that I have been living in France for several years, but as soon as I hear either of these I’m instantly transported back to England. It’s not that I miss the UK, after all I’m only across the channel in Rouen. It’s just that the emotiveness of these works are so quintessentially English they have a powerful effect on me. 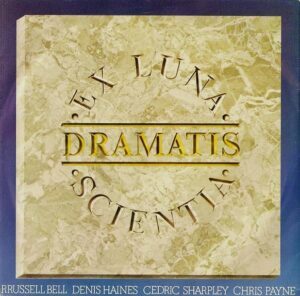 Dramatis’ first single ‘Ex Luna Scientia’ celebrated the spirit of NASA. How do you see the future of space travel now that the Space Shuttle has flown its last mission? The Electricity Club gives its sincerest thanks to Chris Payne. Special thanks to Pete Steer of Tenek.